A Corentyne family has plunged into mourning after the sole breadwinner was killed in a hit and run accident on Sunday evening. 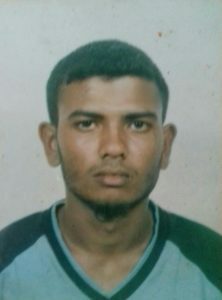 Dead is 19-year-old Trishan “Sonno” Sahai of Lot 11 ‘B’ No. 57 village, Corentyne. His friend, Mooneshwar Jairam, 28, is said to be in a serious but stable condition at the New Amsterdam Public Hospital. According to information received, the two friends were standing on the public road engaged in conversation when a car slammed into them. Sahai was throw several feet away while Jairam was flung on top of a parked car. Mother of the dead man, Bhanwattie Somwar, relayed to Demerara Waves Online News that around 7:30 pm, they received word that ‘Sonno’ was hit in a road accident and was taken to the hospital. Bhanwattie Somwa. mother of Trishan “Sonno” Sahai. According to the woman, her son left home at 5:00 pm to “hang with some friends”. She stated that she was told by neighbours that her son was in the corner “talking with a friend” when the car hit them and sped off. 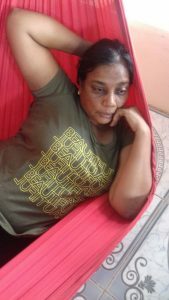 The grieving woman told Demerara Waves Online News that she and other family members rushed to the Skeldon Hospital but she was not allowed to see her son. Minutes later, they were told that the young man succumbed to his injures. “When we reach hospital, we couldn’t see he so we keep asking what happened and they nah seh nothing then lil bit after, doctor seh he dead”. Somwar described her son as a quiet person who worked to provide a better life for his family. Meanwhile, relatives of the injured Mooneshwar Jairam reported that he is in a stable but serious condition. Although, he is unable to speak, he is said to be responsive. Jairam’s father, Udishter Jairam said that his son sustained abrasions to his face, hands and feet but no broken bones. He also received 20 stitches to his head. According to sources, police recovered a partial license number plate from the scene of the accident and are on the hunt for the perpetrator.